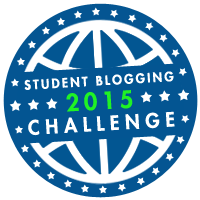 So this is week 8 of the Student Blogging Challenge, and I guess this time I’m planning a trip to a few different countries. Three of the countries that I would visit are the UK, Japan, and New Zealand. Of course, I am assuming that I’d already know Japanese by the time that I’m 18 (when I would be leaving on my trip). In total, (according to my parents) the cost would be about $10,000. I would be going during the summer so I would pack a mix of long sleeve and short sleeve shirts just in case of weather changes. According to this time calculator (on a plane) it should take about 9 hours to get from the USA to the UK, and then 12 hours from the UK to Japan, and from Japan to New Zealand it’s about 12 hours– not to mention the time to get back to the USA which would be about 16 hours. In total I would be flying on a plane for about 49 hours, which is about 2 whole days. I would also be staying at each country for a week or so, depending on what is most convenient. Instead of calling my friends and family back in the USA I would email or text them, this would wipe out the time zone problem. While in the UK I would visit London and go visit some of the Sherlock and Doctor Who filming locations and take some tours there. I might also go to a comic con if there’s one going on at the time that I’m there. 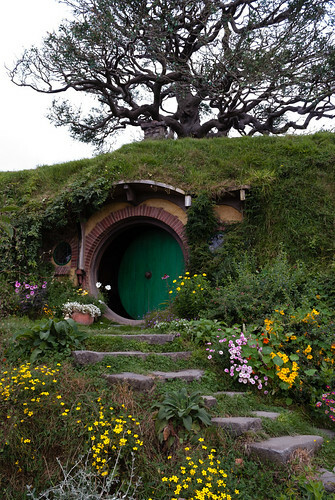 In Japan I might wander around and go on a few tours, and in New Zealand I would visit some of The Hobbit filming areas, including Hobbiton in Matamata. I would love to go on a trip like this– it would be so much fun! After I get back home I would probably start planning my next trip around the world. By the way if you don’t know what a fandom or fangirling is then I suggest looking at some of my earlier posts. Yes, I know there isn’t one special way to join a fandom. However, some people find a TV show or something and they just stay at the level of “really liking” the show. Lets just say you are one of those people who watch the first episode of a show and sort of like it, but you just can’t see yourself watching the show for hours on end. For example, when I started watching Supernatural I wasn’t on that level of fangirling over it; (luckily?) I looked it up on the internet and spoiled the whole series for myself, and now I’m trying to get to season 4 so I can see Castiel. So what is my favorite way to join a fandom? Do a less than 10 minute search on the internet and get somewhat familiar with some of the characters and/or plot. Watch the first few episodes; maybe like 3 to 6. Pick your favorite character(s), but if you have found a character that you really like on step 1, then I guess just stick with that. You might find an awesome character later, but it depends on the show. Spoil a lot of the series for yourself so that you know if your favorite charaters will/won’t die. If you skip this step then good luck trying not to drown in your tears. Watch a few more episodes (3-7 more). By now if you don’t like the show then I would just quit watching it– don’t waste your time sleeping through the whole show. If you completed step 5 then by now you might start wishing that you had some friends to watch the show with you, so get some people to watch it. I’ve actually only succeeded in this step a few times. Make some popcorn and get comfortable. During the week students are almost always on the go. Between homework and after school activities, some students have little to no free time. First, the teachers should give less homework. Some teachers give the normal amount of homework, but if all of the teachers give you the normal amount of homework, then the time needed to complete the homework jumps from 30 minutes to 2 hours. In conclusion, teachers should try to talk to each other about how much homework (in total) they are giving the students (if they don’t already). Second, students should use their time wisely. Not just go home and play video games until 1:00 in the morning then decide that they should do their homework. I like to do my homework right when I get home so that I’m not all stressed out later. I would also suggest not using all your time up on after school activities. Take after school stuff that you think would not fill up all your time but is also fun so you won’t regret signing up for it. Having somewhere to write down what homework you have and in what class really can help! I know that this free time problem only increase as you move up in grades, so manage your time wisely!